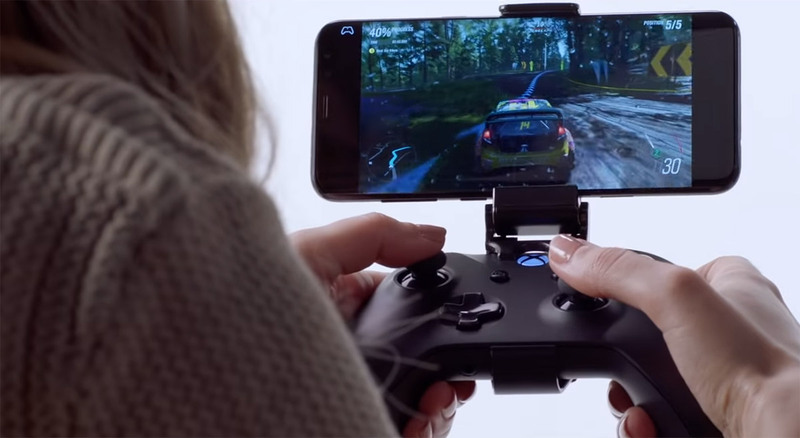 Microsoft has shared details of its upcoming cloud streaming service, xCloud, allowing gamers to play titles on PCs, consoles, and mobile devices with the games themselves running in the company’s data centers. Microsoft’s cloud gaming head Kareem Choudhry says that the project is going to take multiple years to get off the ground and that we can expect the company to “begin public trials in 2019 so we can learn and scale with different volumes and locations.” That’s to be expected if Microsoft is to create something that will scale to allow people to play high-end games on multiple devices. In order to do that, Microsoft has been hard at work building custom hardware to use in its data centers, with testers using Xbox wireless controllers connected to consoles, mobile devices, and PCs in order to test how well everything is working together. Latency will no doubt be an issue, with Microsoft saying that it has teams working on “creating ways to combat latency” via advanced networking. The video encoding and decoding that will be required to ensure gamers see what’s going on as quickly and at as high of a resolution as possible will also apparently mean 4G gaming is a possibility. Microsoft says that it expects to have public trials of its new service next year, but there are already similar services in the market. PlayStation Now is perhaps the most obvious competitor, with PS4 gamers able to play a back catalog of titles via the Internet. Shadow, a service we will be reviewing here very shortly, also gives gamers access to a whole Windows 10 PC with high-end hardware to do with as they please, including stream games. All this is to say Microsoft is going to be late to the party, so it’s going to need to hit the ground running at some point next year. Xbox version of PlayStation Now ? Looks like it. Only much more open to multiple devices I’m sure. PS Now doesn’t support any phones except for a select few of their own “Xperia” line of phones. This may work on Apple TVs and Fire sticks as well, since they have bluetooth and Xbox One Controllers have bluetooth as well. I’ve been a fan of game streaming since OnLive went live. I think PS Now is a great gaming value, and I’m looking forward to seeing what Microsoft cooks up here, especially if it opens up a significant back-catalog of X360 and original XBOX games.